Mussini Tomato Vinegar - Miam! 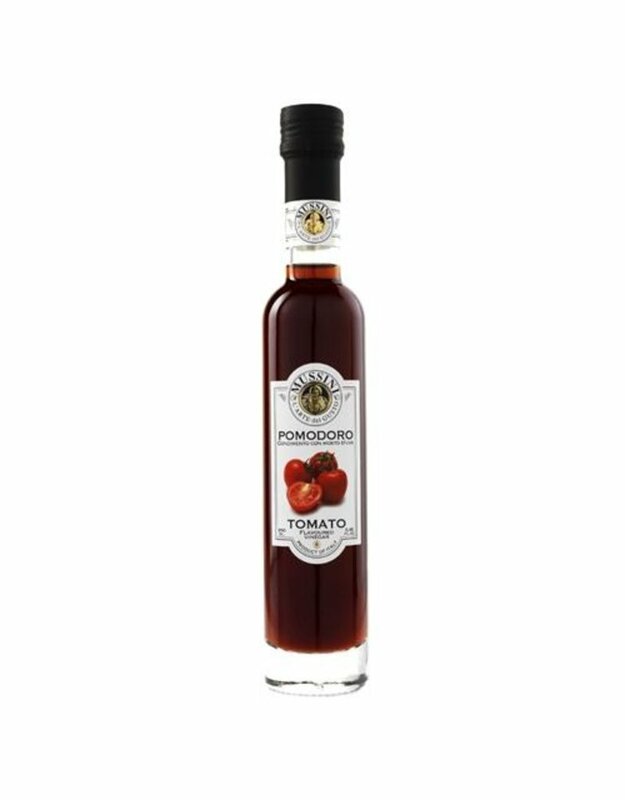 The Agro-Frutta Tomato flavored vinegar from Mussini is a natural dressing which combines tradition and innovation, blending high quality grape must with fruit juice and carefully selected natural flavoring. This is the same must, made with trebbiano (white) and lambrusco (red) grapes, that is used to produce the unique and inimitable taste of Balsamic Vinegar of Modena. 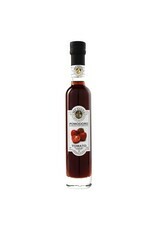 A new product produced exclusively by the Mussini family in Modena, this vinegar offers a totally new experience and is the ultimate example of the evolution of traditional balsamic vinegars.The use of high percentage of local grapes and natural flavorings, guarantees a very high standard of quality. These dressings can be used every day for healthy dishes that are full of creativity. Mussini Agro-Frutta flavored vinegars make a precious gift too.